Constructed by AGBU in the 1920s, the Marie Nubar Ophthalmology Clinic has reopened after extensive renovations. Watch the news report (in Armenian) for more information. When doctors here in Armenia said they would introduce me to XDR patients, I figured we would all be swathed in protective clothing and chat in muffled voices in a secure ward of a hospital. Instead, they simply led me outside to a public park, where Mr. Hakobyan sat on a bench with me. 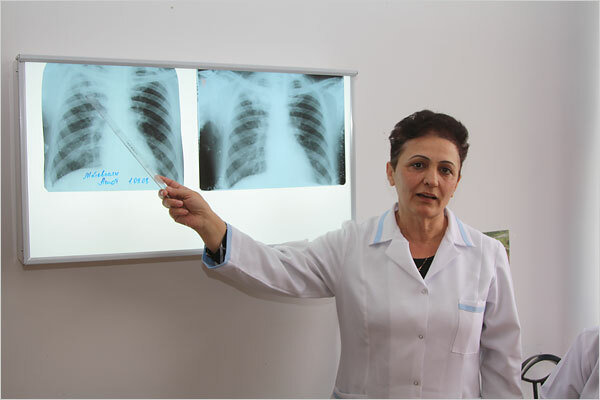 In Armenia, the only program for drug-resistant TB, overseen by Doctors Without Borders, can accept only 15 percent of the patients who need it. And the drugs often are unable to help them.